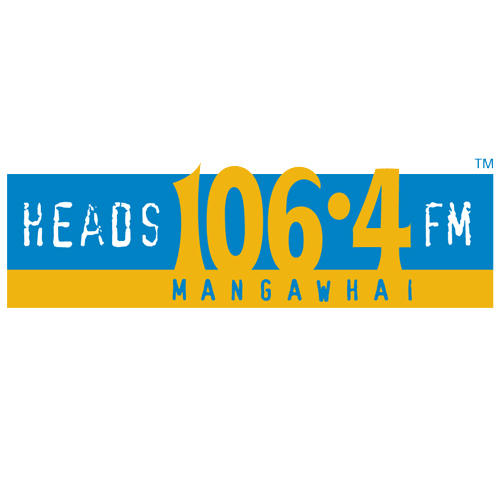 Local resident Mark Perry set up HeadsFM as a privately owned and operated low powered FM station on 88.1FM in 2004 to provide a local voice for Mangawhai and a station different from the “McRadio” formats dished up on the dial. The station has been running continuously for 24 hours a day ever since, thanks to solar power back up, which was installed as part of the Emergency Response Plan for the region. Mark purchased a 25 watt frequency on 106.4FM in September 2008, giving HeadsFM greater coverage to include the entire Bream Bay region, that’s from Marsden Cove and including Ruakaka, Waipu and Waipu Cove, Langs Beach, Te Arai, Pakiri and of course, Mangawhai and the Heads. HeadsFM features an eclectic blend of contemporary music, everything from Franz Ferdinand to Frank Zappa, along with heaps of Kiwi music and specialty programmes like “The Sixties at Six”and “The Seventies at Seven” every evening. News bulletins from the NewstalkZB news centre are aired ten times a day. HeadsFM streams live to the world 24/7 via links here on our site and our Facebook page.